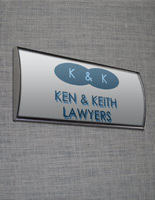 This Office Door Sign Has a Convex Design for Wall Mounting! 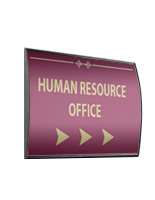 This Safety Display Is a Name Plate Holder for Showing Directory Info in a Lobby! Buy This Office Door Sign Today! 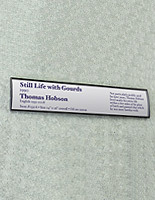 Media Size: 7.5" x 11.75"
2.5" x 8.5" 3" x 4" 3" x 5" 3" x 8" 3" x 11.5" 3" x 15" 4" x 5.5" 4.5" x 24" 5.5" x 6" 5.5" x 9" 5.5" x 15" 6" x 7.5" 6" x 8.5" 7.5" x 10"
8.5" x 11" 8.5" x 16.5" 11.5" x 17"
No-glare lens protects graphics and prevents sun damage to protect valuable graphics. 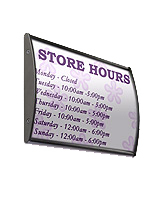 Anodized aluminum backer has a modern black finish that looks great in any setting. Two-sided VHB tape sticks to almost any flat surface in portrait or landscape view. This office door sign includes the suction cup that is necessary for removing the non-glare overlay. Users do not need to dismount the unit from the display surface when using the suction cup. This office door sign has a convex shape for a modern look. The black exterior is a neutral coloring that blends in with any professional decor. This office door sign is the ideal choice for all sorts of companies, like medical centers, schools, government buildings, and many others. The signage holder is often used to aid guests in finding their way through the establishment. 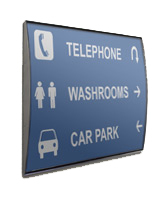 This office door sign, similar to a way finding signage holder, comes with double-sided VHB tape on the rear side of the unit for convenient affixing to the display area. 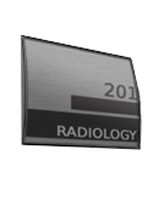 Present the important signage in either portrait or landscape orientation for the best possible presentation. 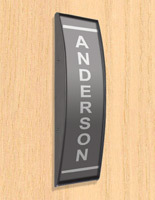 This office door sign, commonly called a wall signage holder, is wonderful when displaying the number of a room, a department directory, and the name of an employee. The name holders have black anodized aluminum extrusion construction for durability. This office door sign fabrication is certainly stronger than comparable plastic units. Users will be able to use the name plate for a long time. 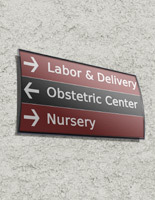 This office door sign has a convex shape that will garner more interest from passersby. The non-glare overlay comes standard to prevent dirt or lighting from affecting the view of the messages. 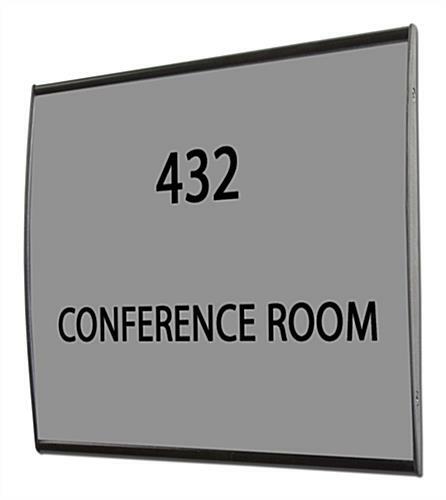 This office door sign, also called wall name display, will accommodate 7-1/2" x 11-3/4" images and messages. Users will be able to make their own custom inserts on their home computer with a standard printer. 8.0" x 78.0" x 0.875"